Hi there! Welcome back to 12 Days of Christmas Gifts. How are you making out with you holiday preparations? I'm making progress, but not quite ready. Can you believe we're only a little over a week out?? Crazy. Today's gift idea is fast and festive! I try to stock up on these little plastic, see-through ornaments from the craft store each year after the holiday. They make the cutest and simplest hostess gift or co-worker gift. I just cut strips of the Nordic Noel Designer Series Paper (2.5 x. 5 inches each), curled them with my bone folder and then dropped them into the ornament. Seriously, does it get any simpler? If you're at a loss for a last minute gift, this is the best idea! 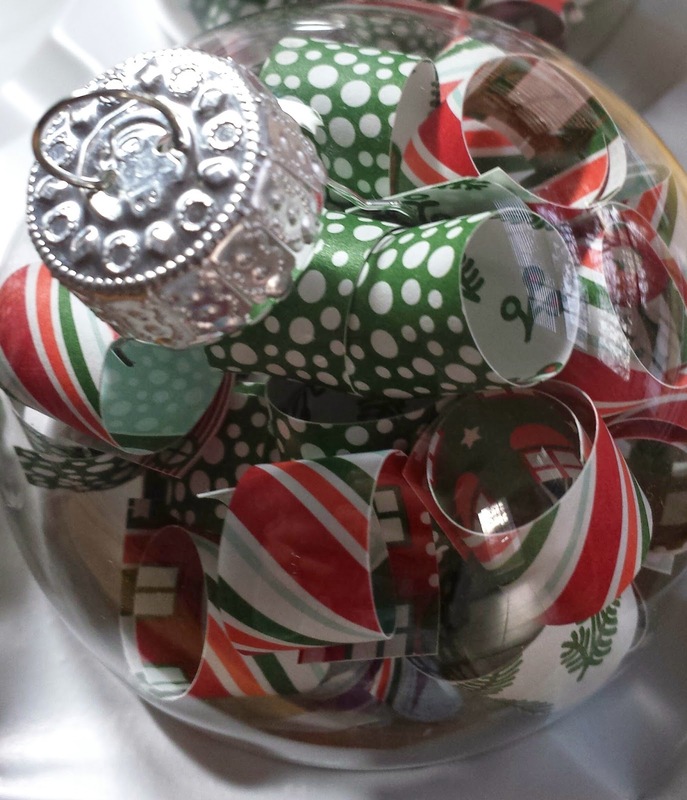 It's a great way to use up the leftover holiday paper you have from your Christmas cards or projects, too. 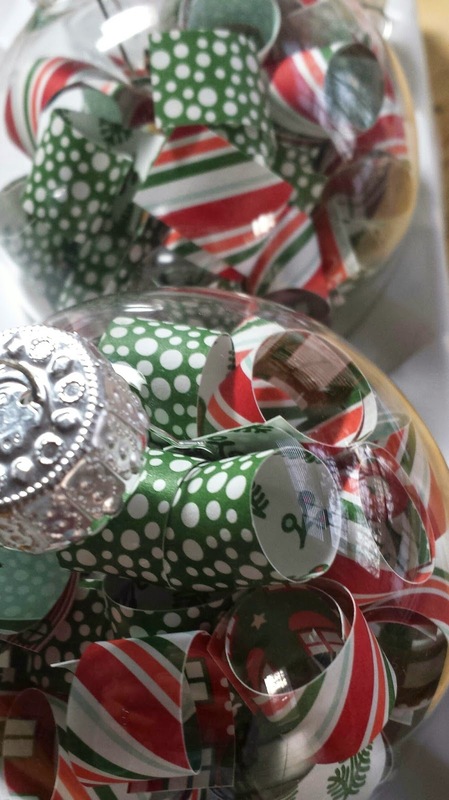 You could even use non-holiday paper and make a set of ornaments for someone to use as decorations all year long. Think of how cute these would be in fun bright colors for Easter hanging from the mantle or something. Ooh... the wheels are turning now. Well, this one was so simple I don't really have much else to say about it! Thanks for stopping by today... hope you'll come back and visit again soon.